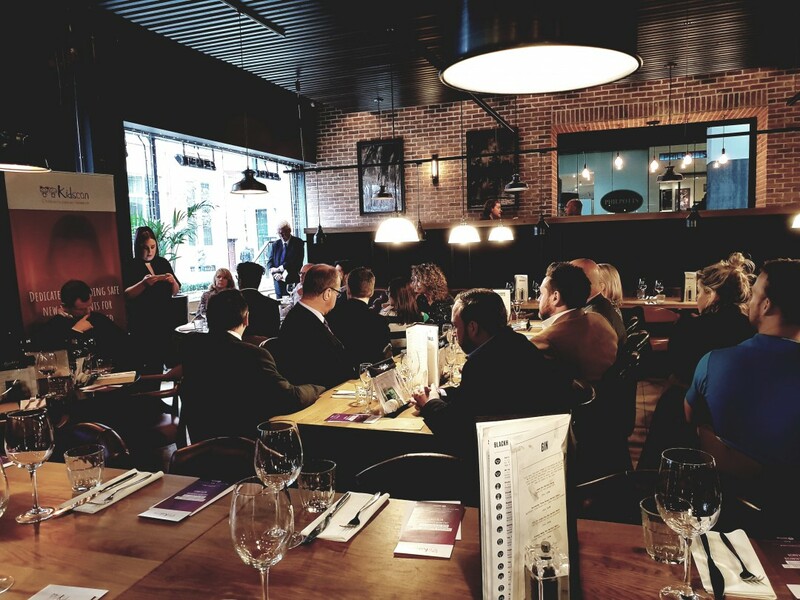 Join us at The Grill on New York Street Manchester for our annual networking lunch in aid of Kidscan Children’s Cancer Research. Networking with corporates from across Manchester and enjoy a two course lunch, glass of Prosecco on arrival and a gift bag from Kiehl’s! Plus meet this month’s guest speaker Sarah Collins. Tickets cost just £25 and all profits go directly to Kidscan Children’s Cancer Research. To reserve your place simply follow the link below. Sarah Collins is the Managing Director of the Quinton Fortune Football Academy which delivers high quality coaching to children aged 6 – 13 years in Greater Manchester and also supporting Volunteer Coaches/School Partnerships across the City. She is an independent sport media consultant and has accolades for her work as award winning BBC Broadcast Journalist. She has a wide range of experience across the industry enabling her to connect with key athletes from past and present as well as with prospective partners and investors from all areas of the sport community and broadcast media environments. She is currently producing radio commentary for the Women’s Football on BBC 5 live. Sarah is working on a new venture where she is establishing a private residential children’s home, specifically looking at how Sports & Education can engage young girls/women in care, back into community life. Away from work Sarah is passionate about grassroots sport, inspiring young people and giving back to the community. She co-founded Dominoes Junior Netball Club in Gorton, in inner city Manchester, the club has grown from nothing to now boasting 100+ players. Sara is a Level 2 qualified coach, she works tirelessly to promote sport to local children encouraging both participation and team-building skills to children from all ages and backgrounds. Sarah is delighted to be supporting Kidscan, Children’s Cancer Research Charity.